Noosa Heads is one of three major centres of the Noosa region on the Sunshine Coast, Queensland, Australia. It is located approximately 136 kilometres (85 mi) north of Brisbane, the state's capital. It is located within the Shire of Noosa. Noosa Heads is a really popular holiday spot on Queensland's Sunshine Coast - about 140 kilometres north of Brisbane. There are great beaches, a range of accommodation, trendy shopping outlets, fabulous markets, delicious food (especially seafood) and a range of sporting activities - fishing boating, stand-up paddle boarding, hiking, surfing. sky-diving or maybe learn some circus tricks. This place has heaps to offer and it is no wonder it get extremely busy during the winter months and school holiday. 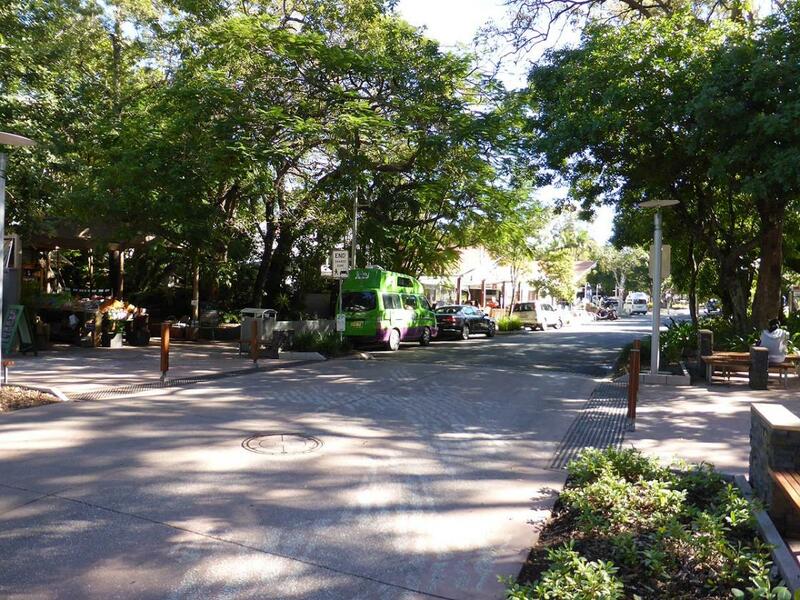 We stayed at the Noosa Caravan Park, Tewantin and spent several days exploring the area. It was just a short ferry ride down the Noosa River to walk along the famous Hastings Street to have coffee in one of the many cafes and then head along the boardwalk to the beach. After lunch we walked to Noosaville before catching the bus back to Tewantin - walking paths are well maintained with lots of shade and relatively flat. The next day we headed out to the Buderim Ginger Factory to join a tour and find out how they process the ginger root - the tour includes entry into the tasting room to sample some interesting recipes using their product - yum. Eumundi markets are huge and held on Wednesday and Saturday each week. Loads of home made products and very interesting clothing. I would highly recommend you head out and have a look - these are very popular and extremely busy. Noosa Heads is a tourist destination - everyone needs to go there at least once. have you been to Noosa Heads? Explore Noosa Heads with RvTrips and find out where to stay, what to do and what to see. Helping caravan, motorhome and camper owners have a great holiday.